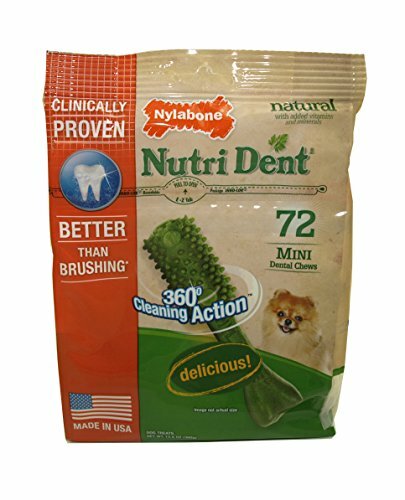 Clinically proven better than brushing, Nylabone Nutri Dent Original Chews, Mini 72ct naturally freshen breath and help reduce plaque and tartar buildup with their patented 360-degree scrubbing nubs. Plus, they promote your dog's well-being with natural ingredients and added vitamins and minerals and contain no artificial colors, flavors or preservatives. If you have any questions about this product by Nylabone, contact us by completing and submitting the form below. If you are looking for a specif part number, please include it with your message.